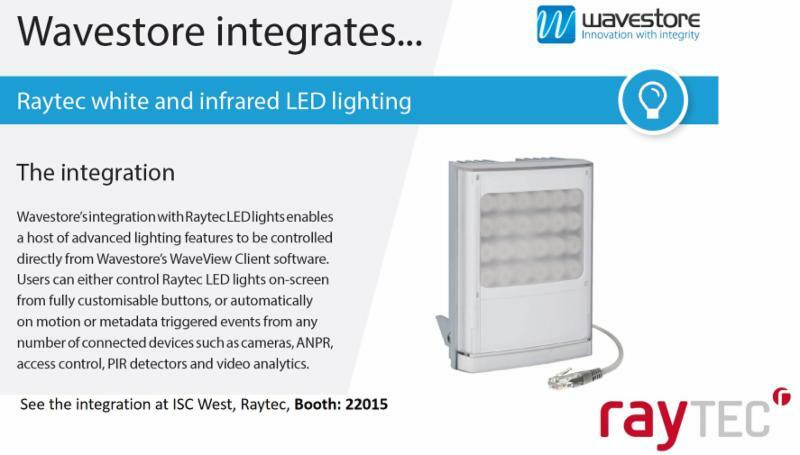 Raytec are the World leader in LED lighting for security and safety providing a range of LED illuminators to create a safer global environment whether used in combination with surveillance cameras or as general area lighting. Raytec's drive is to improve the safety of any area at night and to improve the performance on any CCTV system under darkness. Wavestore is a global leader in innovative digital video recording and data management solutions. From standalone systems to large distributed server networks with tens of thousands of cameras, sensors and analytics options, Wavestore provides intelligent, integrated solutions for any application.